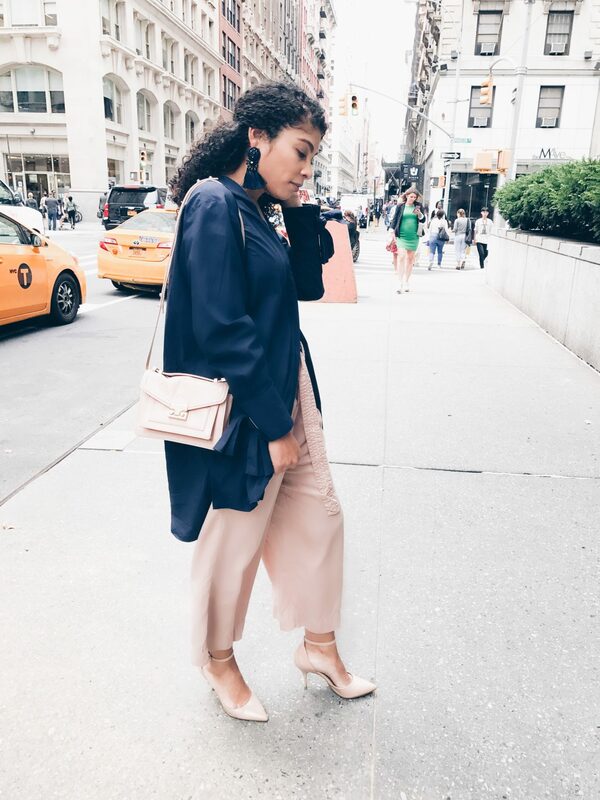 Thinking of a day-to-night outfit can get a little difficult, especially when you’re thinking of an outfit that’s appropriate to wear to work. The first few weeks of fall is that awkward time where I’m not really sure what to wear because it’s not technically warm, but it isn’t really cold either so I’m pretty much in-between wardrobes. 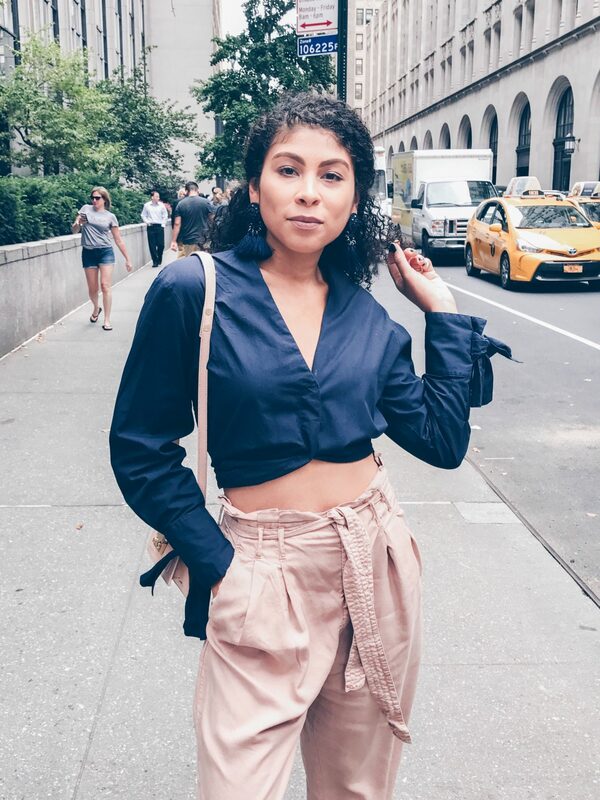 Walking around in the city and taking the subway can be hectic, so whether I’m grabbing dinner with friends or meeting them for drinks after work, being comfortable is essential. I have a few dresses I’ve been trying to wear more often, but sometimes I find that wearing pants is just more convenient. I wanted to wear this dress I purchased two seasons ago, but it’s a little shorter than I would normally wear to work so I paired the dress with bottoms. 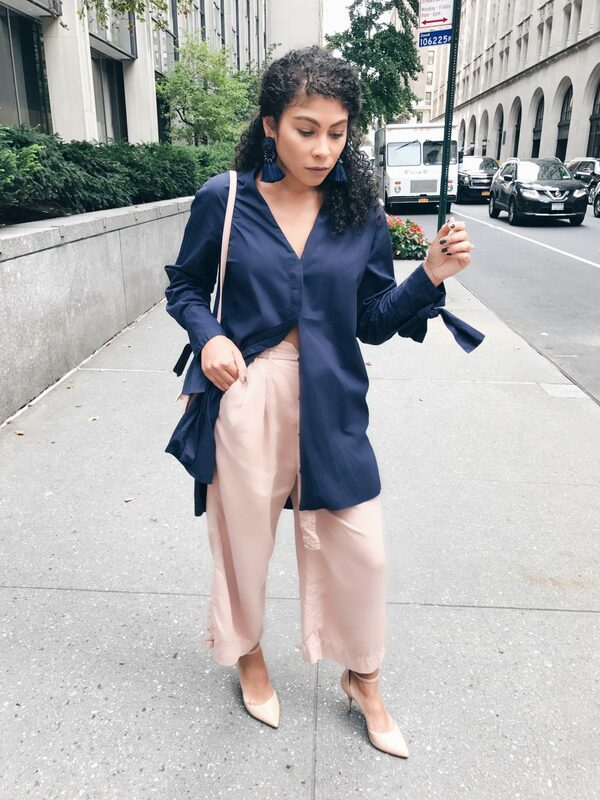 I love the navy and blush color combination and I’ve been really into trousers lately because there easy to dress up or down. 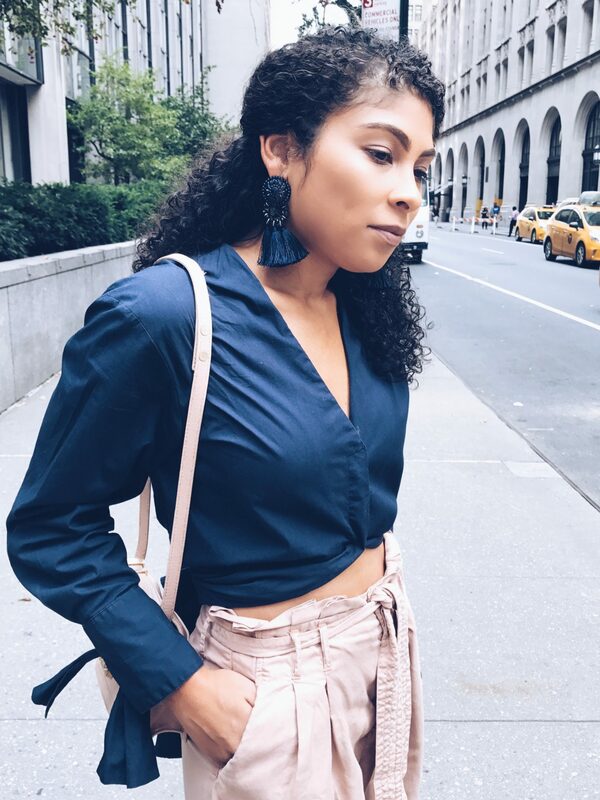 Of course I had to throw on these tassel earrings. I’ve gotten so many compliments when I wear them and these babies looked too good not to wear. I also tied the back of the dress for a completely different look and turned into a crop top for a ‘real night-out’. Thanks for reading. I hope you enjoyed and come back soon!